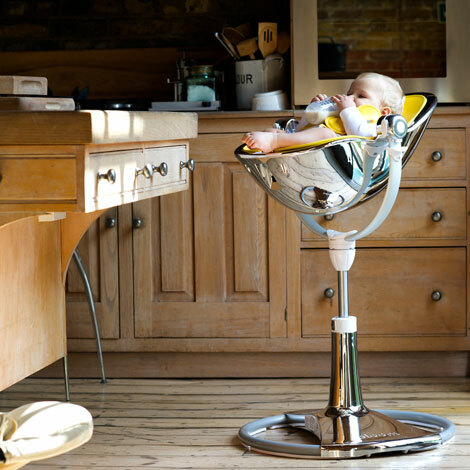 As the world’s highest baby chair, fresco chrome’s 3-position recline system, and easy up/down height adjustment allow baby to join the family at the dining table or the modern breakfast bar; starting from birth, all the way to school age. In cradle mode newborn baby is up and away from the ground, safe from pets & household dust; parents and baby are able to experience all important eye-to-eye contact, so critical in the first formative months. Choose from a variety of colors including the new Giro model!